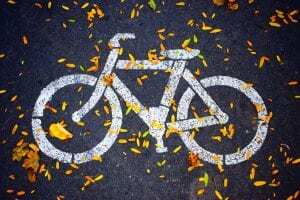 Great Neck, NY (March 18, 2019) – A hit-and-run driver was reported to have struck and killed a bicyclist in the area of Lake Success on Sunday morning, March 17th, according to authorities. Police stated that the accident happened around 9:00 a.m. on the Long Island Expressway service road, in the vicinity of Great Neck High School. Police and emergency medical crews were immediately called to the scene of the collision where a van was reported to have struck 66-year-old David Schlichting, of Great Neck, and immediately fled the scene. Schlichting was reported to have fallen due to the impact of the accident, hitting his head in the process. Paramedics who arrived at the scene immediately transported Schlichting to a local hospital, where he was tragically pronounced dead a short time later. At this time, police are actively searching for an older model, light-colored van as part of their investigation into the incident. Anyone with any information is asked to call Crime Stoppers at 1-800-244-TIPS. New York bicycle accidents often prove to be fatal, especially since there is zero protection between the vehicle and the victim at the time of impact. Before moving forward, we would like to extend our deepest condolences and most heartfelt thoughts to the loved ones of David Schlichting during this tragic and devastating time. We understand that it can be terribly challenging for the bereaved family to focus on anything other than their emotional recovery at this time. However, it is important to realize that you may likely have substantial rights concerning financial compensation for your loss. At Hach & Rose, we are here for you 24/7 as we have made it our mission to hold negligent and blatantly criminal drivers responsible for the overwhelming pain and suffering that they inflict. If you have lost a loved one in a New York bicycle accident, please don’t hesitate to call 212-779-0057 today.